In many ways, 2017 was a year of uncertainty in Japan, thanks to two portly men with funny hair and bad suits: Donald Trump and Kim Jong Un. The new U.S. president dominated the news in Japan over the past year, as he did pretty much everywhere else. Indeed, 2017 in Japan began with President Trump, quoted above, complaining about perceived unfair Japanese trade practices. Next, as Abe visited a Trump golf course in Florida, North Korea chose to spoil the party by firing up another issue that would come to dominate the news in Japan in 2017: ballistic missile testing. 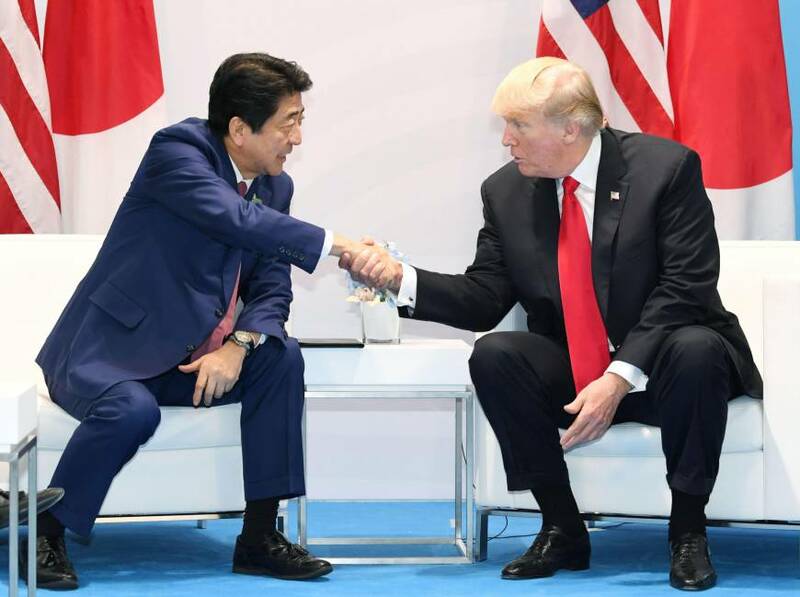 “I just want everybody to understand and fully know that the United States of America stands behind Japan, its great ally, 100 percent,” Trump said. 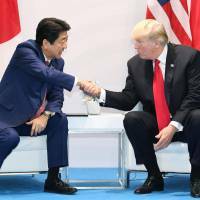 For the time being at least, North Korea inadvertently helped cement the Abe-Trump relationship and silence the American president’s Japan-bashing. In April, Minister for Tohoku reconstruction Masahiro Imamura suggested that it was a “good thing” the 2011 Great East Japan Earthquake struck the Tohoku region (“Tōhoku dattara yokatta”) rather than a more populous region such as Tokyo. 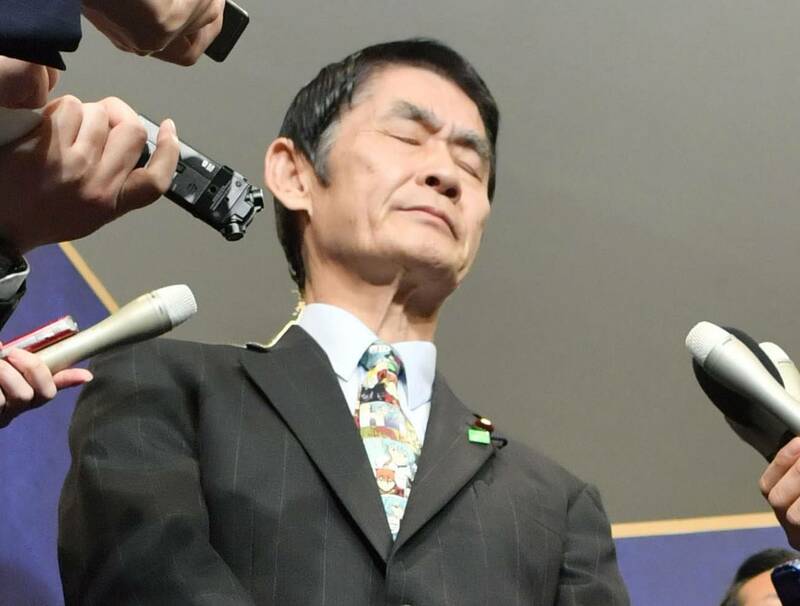 Imamura’s comments were seen as all the more appalling because he was supposed to be in charge of helping rebuild the region following the massive earthquake, tsunami and Fukushima No. 1 nuclear disaster. So said a female freelance journalist, initially known simply as “Shiori,” who appeared on television to allege she had been sexually assaulted by well-known journalist and Abe adviser Noriyuki Yamaguchi in 2015. There were further allegations that the Tokyo Metropolitan Police colluded with personnel reporting to Abe in the Cabinet Office to cover up what happened. Thanks to Shiori Ito’s appearance on television, the #FightTogetherWithShiori campaign was launched online in Japan, months before the United States and other Western countries experienced the #MeToo movement, where women in various industries outed sexual abusers. 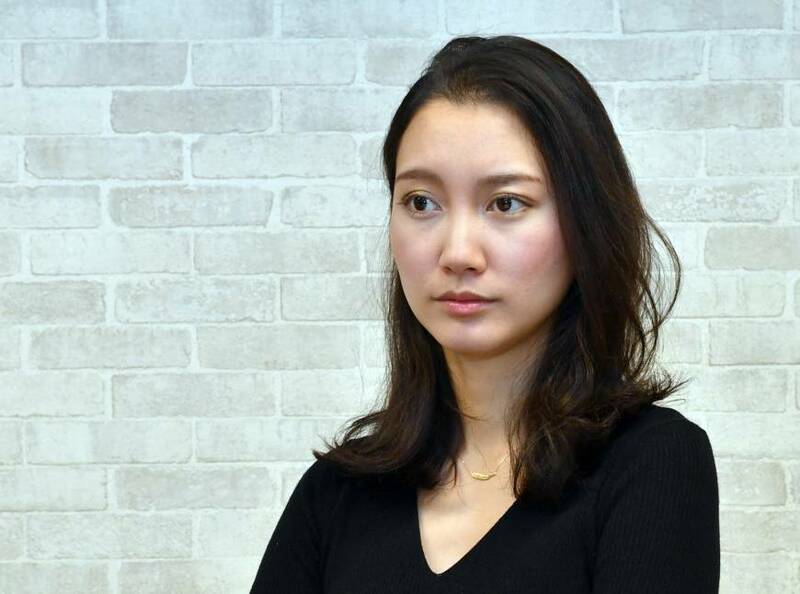 Ito’s campaign for justice continued throughout the year, and her decision to go public with her allegations is an important milestone for Japan, where it’s estimated just 13 percent of sexual assaults are reported. These were the words of sumo wrestler Kisenosato in January, when he was elevated from the rank of ozeki to become first Japanese-born yokozuna, or grand champion, since Wakanohana in 1998. 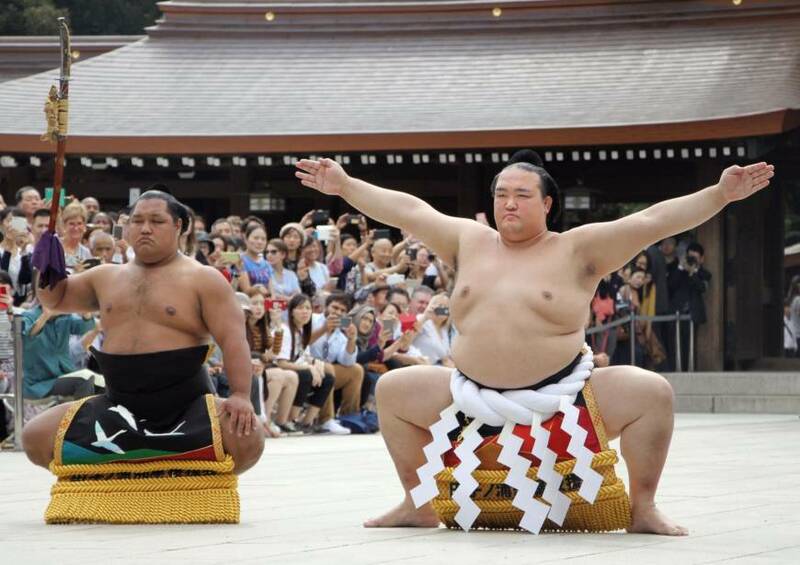 At the time of his promotion, the other yokozuna — Hakuho, Harumafuji and Kakuryu — were a trio of Mongolians. However, in November, Harumafuji was accused of assaulting compatriot and fellow wrestler Takanoiwa with a beer bottle and/or a remote control and/or his fists. And then there were three: Harumafuji retired shortly after. 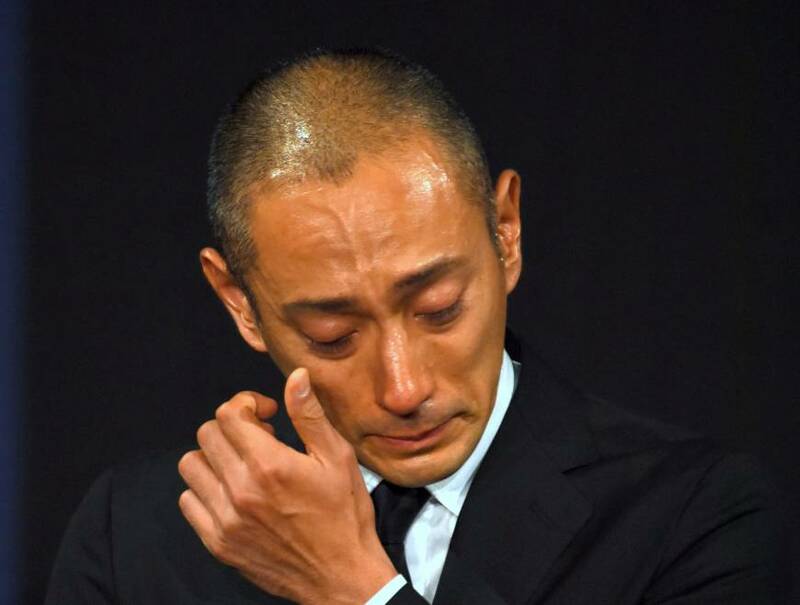 Kabuki actor Ichikawa Ebizo cried as he made his statement to reporters on June 23 after his wife, popular television host Mao Kobayashi, died of cancer. During her illness, thanks to her popular blog, Kobayashi had raised awareness about breast cancer in Japan and abroad, and was named one of the world’s 100 most influential women by the BBC in 2016. In June, a paraplegic man had to crawl up a flight of stairs to board a return flight home to Osaka from Amami Airport in southwestern Japan. The reason? “If you can’t walk, you can’t board,” according to contractors who handled tarmac operations at Amami Airport on behalf of Vanilla Air, a low-cost carrier that is a subsidiary All Nippon Airways. The airport did not have a ramp that could accommodate wheelchairs for boarding aircraft, and the Vanilla Air contractors refused to assist the passenger up the stairs. So the man, Hideto Kojima, who is paralyzed from the waist down, decided to crawl up the stairs to get on his flight. While Kojima may have just wanted to get home, he also could have been trying to make a point. As head of the nonprofit Japan Accessible Tourism Center, Kojima actively promotes travel for disabled people in Japan. After returning home, Kojima raised the issue in the media and with the government, generating discussion about the realities of Japan’s supposedly “barrier free” transport infrastructure, and just how much, in the lead-up to the 2020 Tokyo Olympics, Japan conforms to the United Nations Convention on the Rights of Persons with Disabilities. So asked opposition member of the House of Councilors Taro Yamamoto in June, when the governing coalition flexed its procedural muscles to cut off debate in the Diet and ram the controversial “anti-conspiracy” bill into law. Yamamoto was expressing fear that the vague nature of the new law, which covers nearly 300 crimes, will erode personal liberties in Japan by providing authorities with broad surveillance powers. The new law also supposedly places no restrictions on who authorities may monitor or detain in the interests of national security. The Abe administration argued that such a law was needed in the lead-up to the 2020 Olympics, and that Japan was merely fulfilling its obligations under United Nations Convention Against Transnational Organized Crime. However, much to the embarrassment of the ruling coalition, two U.N. representatives explicitly criticized the details of the bill that was passed into law in June. Government security personnel working under the Okinawa Defense Bureau mockingly asked this question of protesters opposing a new U.S. Marine Corps Base in the Henoko region of the city of Nago on Okinawa. There are two possible subtexts to the question: The protesters are foreign agents who come from outside of Japan and have no real connection to local community, or, worse, the Okinawans, with their unique language and history as an independent kingdom, are not considered truly Japanese. Their struggles largely unknown or forgotten by people living in other parts of Japan, locals have long opposed plans, finalized in 2013, to build a military airstrip out over the pristine waters of Henoko Bay. Protesters say police and security forces have dealt with them harshly over their opposition to construction of the base. 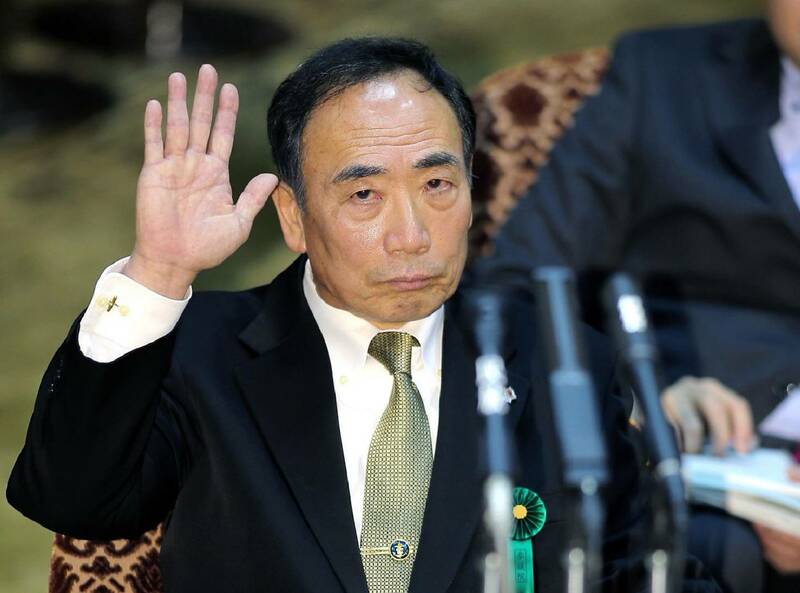 Okinawa’s current governor, Takeshi Onaga, has sought court injunctions to block base construction, and has even traveled to the United Nations to complain about the way the central government in Tokyo treats the prefecture. The snide comments by security personnel in August were picked up by major media, leading to a reprimand for the Okinawa Defense Bureau from Defense Minister Itsunori Onodera. Construction on the base, however, continues. Thus, Moritomo Gakuen president Yasunori Kagoike explained to a Diet committee the alleged formal connection between Abe and his wife, Akie, to a scandal-plagued school. The Osaka-based school, Moritomo Gakuen, and its president were a constant source of embarrassment for the prime minister in 2017, and nearly led to the end of his political career. In his Diet testimony, Kagoike claimed that “she,” Akie, had passed on the equivalent of $9,000 to the school from her husband. The controversy then shined a light on both Abe and his wife’s questionable connections to Moritomo Gakuen, “Japan’s first and only Shinto school.” Soon, there was strong evidence that Akie, who had been formally affiliated with the school as a sponsor, had donated to the school, while the prime minister may have helped facilitate an illegal bargain-basement deal for land for a new school building. Kagoike frequently popped up in the media with claims that tied Shinzo and Akie Abe to even more embarrassing allegations, including money laundering. When Abe was later accused of providing the Kake Gakuen veterinary school in Ehime Prefecture with preferential treatment, it looked like his tenure might be heading for an abrupt end. With Foreign Minister Fumio Kishida waiting in the wings to succeed Abe, by July many commentators wondered what would happen next. Just as he had lent Abe’s relationship with Trump a hand at the start of the year, North Korea’s Kim Jong Un helped the Japanese prime minister salvage his relationship with his electorate. While Abe’s political future looked shaky by the beginning of July, a steady barrage of missiles , with some splashing down near or flying over Japanese territory, sparked alarm across the archipelago. At the end of August, Abe declared that the missile tests constituted an “unprecedented, serious and significant threat” to Japan. By portraying himself as a protector of Japan, Abe saw his polling numbers improve to the point where he felt comfortable enough to call a snap election on Sept. 25. The opposition parties were in disarray, and could not, Abe argued, be trusted to protect Japan. Campaigning on the slogan “I will defend our country to the end” (“Kono kuni o mamori-nuku“), Abe, though hardly improving his party’s position in the Diet, at least did not lose the election, thereby all but assuring he’ll be around for a good while yet. This was Yuriko Koike’s message to the electorate. Once Abe called the snap election in September, the popular governor of Tokyo quickly launched a new political party, Kibo no To (Party of Hope), that promised to “reset” Japanese politics. Some in the media started to dare to believe she could press that button, too, considering the momentum she had built up in July’s Tokyo assembly elections, in which her Tomin First no Kai (Tokyoites First) party trounced Abe’s Liberal Democratic Party. Koike, as the face of the new national party, promised to promote traditional values, revise the Constitution to make it easier to go to war and protect Japan. In short, there was too little differentiating Koike and Kibo no To from Abe and the LDP. 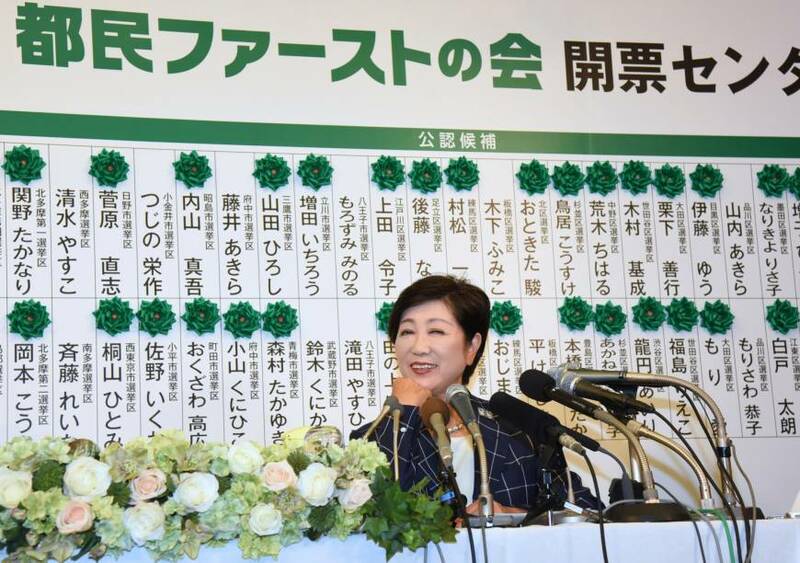 To make matters worse, Koike made no effort to build a meaningful coalition with members of the main opposition Democratic Party (DP), whose Lower House caucus had basically disbanded to jump on the Koike bandwagon. She promised to “exclude” (haijo) any former DP lawmaker opposed to Kibo no To’s key principles, such as revising the Constitution. After winning a disappointing number of seats in the election, Koike resigned as party president, effectively abandoning Kibo no To. Nevin Thompson is the Japan editor for GlobalVoices.org. He typically reports on Japanese internet culture.